Page 1 of 2 - Photos from the 2016 Christmas Letter! This page shows ONLY photos which are included in the Annual Christmas Letter for 2016. On this page are the photos/images from February, May, June, July, August and September. There are no photos from January, March and April. The photos/images on this page are those from pages 1 - 13 of the Christmas Letter. 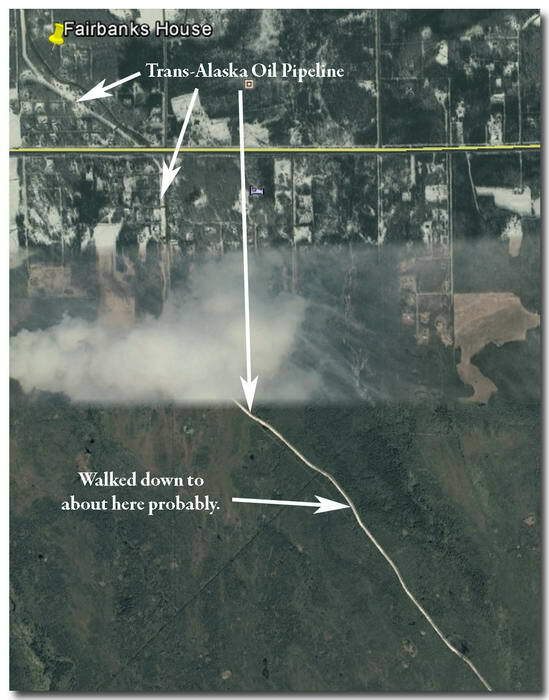 There are three more photos from Page 13 on Page 2, those photos taken in October. Click on any thumbnail to begin. What is the difference between these pages and the actual Christmas Letter? These pages show only the photos from the Christmas Letter and VERY brief photo descriptions. The Christmas Letter tells the actual stories behind the photos and more details about the where and why. The primary reason for these pages is to allow people to see larger versions of the Christmas Letter photos. The Christmas Letter is 18 pages in length this year. Page 1 of Christmas Letter. 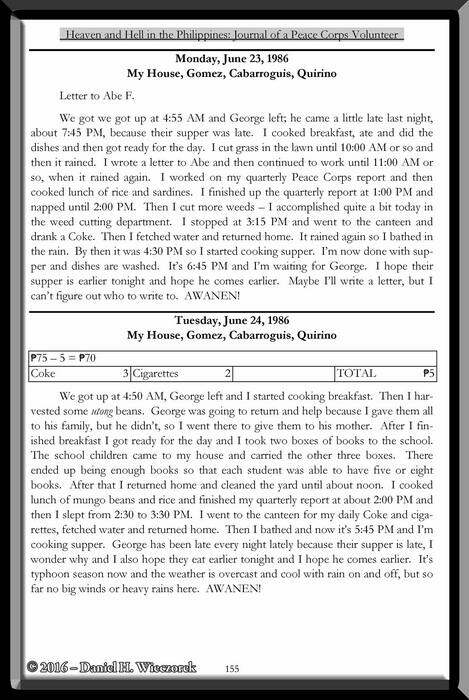 A page from my newest book "Heaven and Hell in the Philippines: Journal of a Peace Corps Volunteer". Page 4 of Christmas Letter. 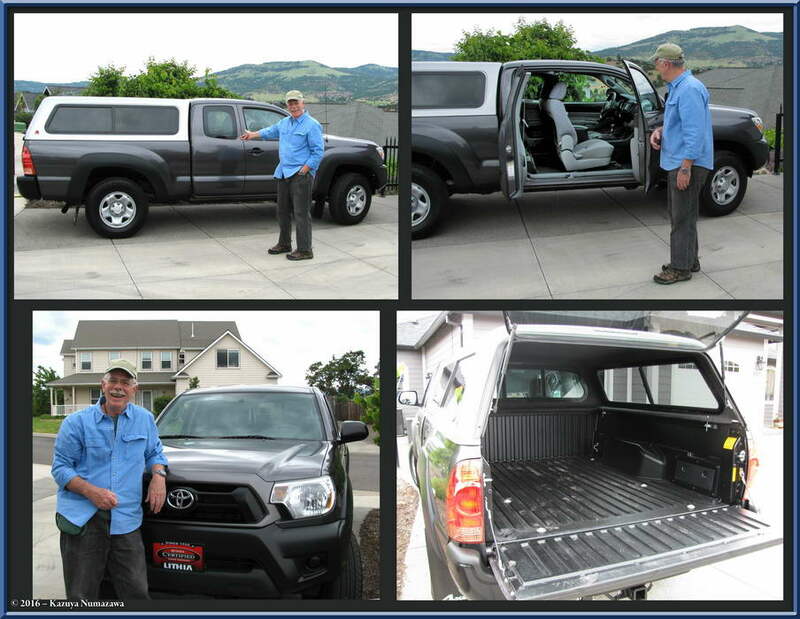 First Photo - Daniel and our newly purchased 2015 Toyota Tacoma. 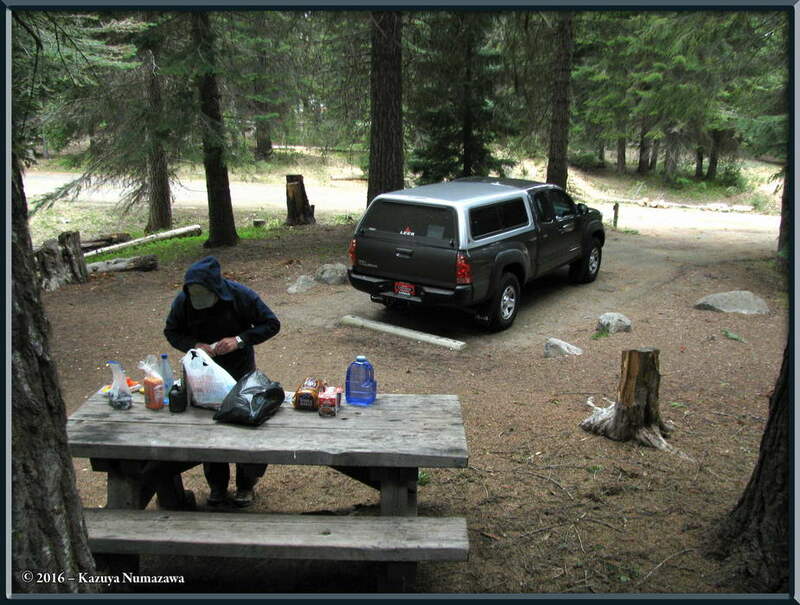 Second Photo - Daniel Working on Supper at Diamond Lake Campground, Oregon. 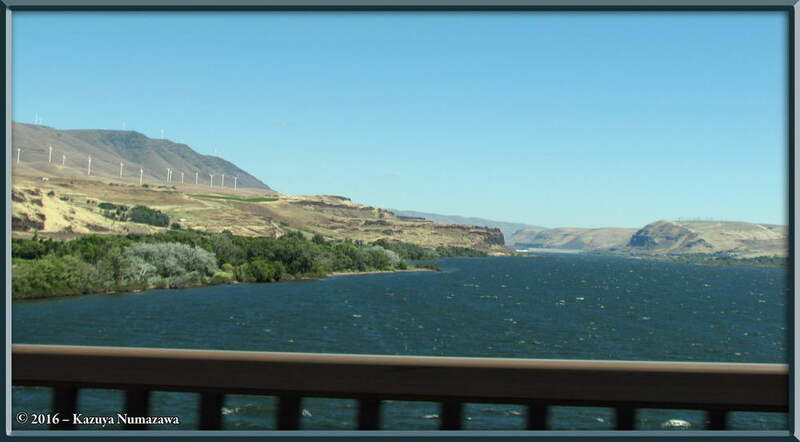 First Photo - Crossing the Columbia River from Oregon into Washington on Highway 97. 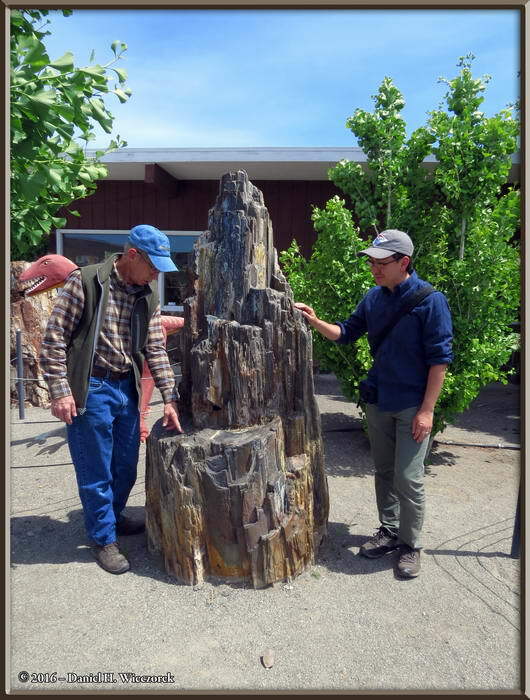 Second Photo - Tony and Kazuya looking at a chunk of Petrified Wood at a gift shop. Page 5 of Christmas Letter. 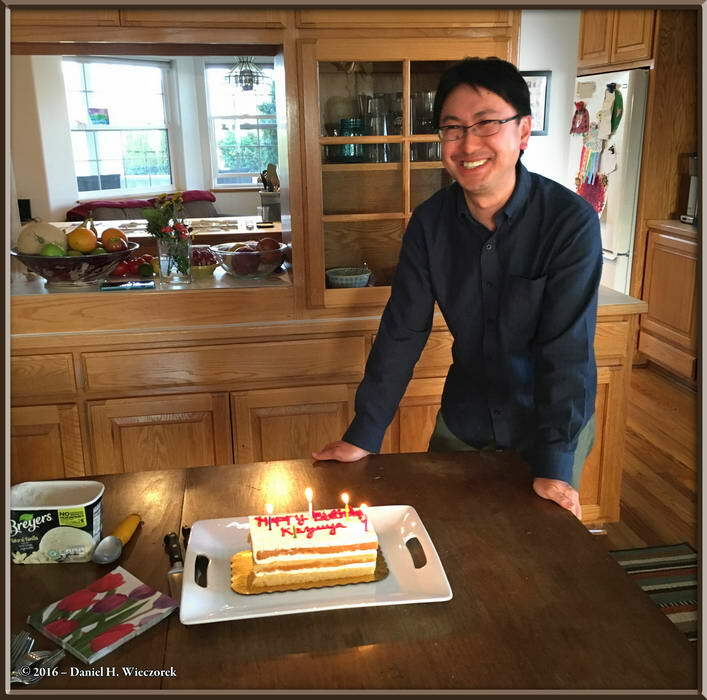 First Photo - Kazuya's Birthday Cake at Tony and Nancy's House. 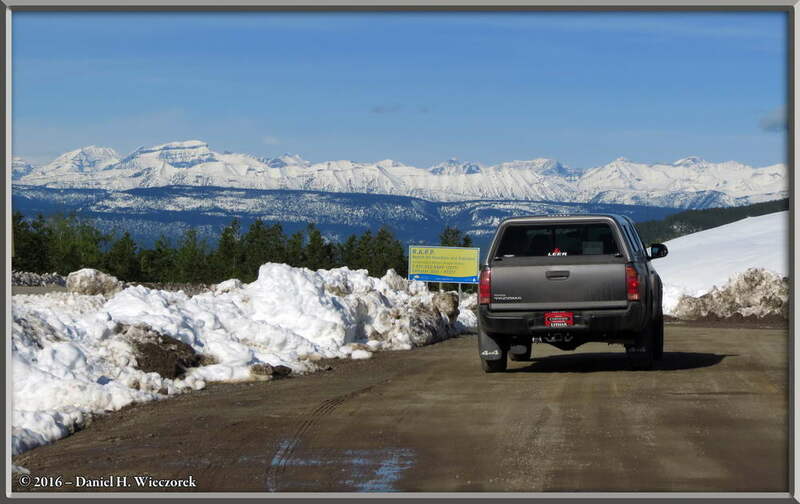 Second Photo - Driving Through British Columbia, Canada. 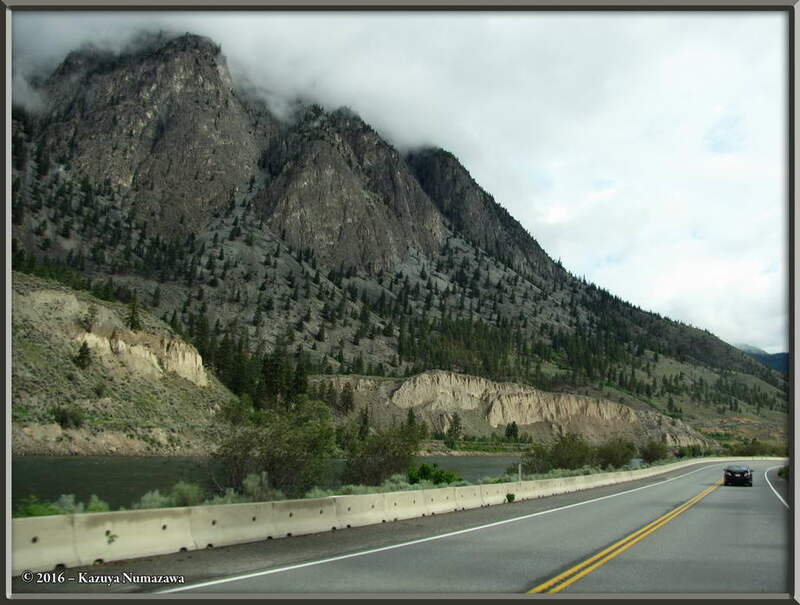 First Photo - May 29th, Driving in B.C., Canada Along the Fraser River. 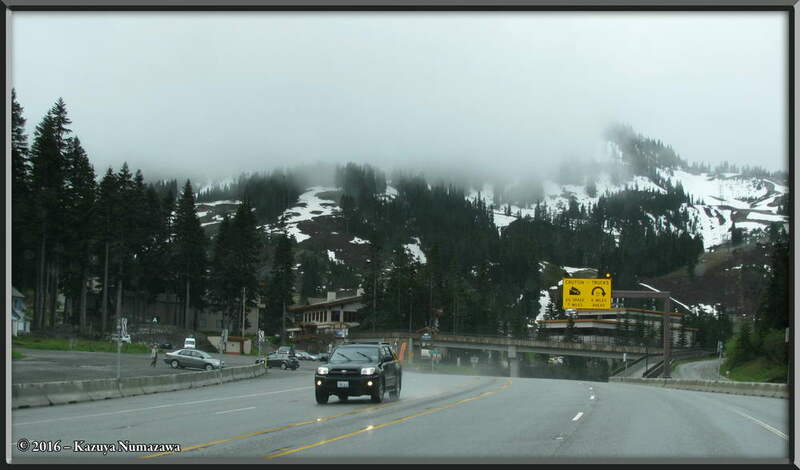 Second Photo - Snow Alongside the Highway in B.C., Canada. Page 6 of Christmas Letter. 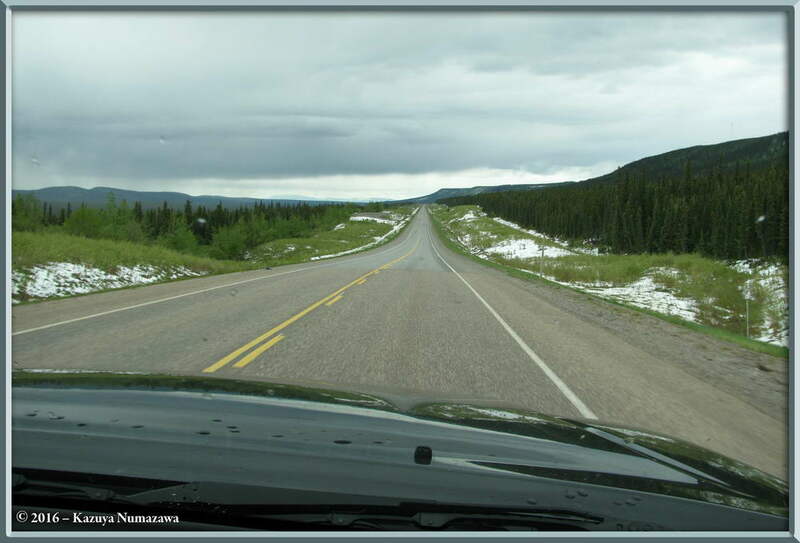 First Photo - A Snowy Mountain Pass North of Fort Nelson, B.C., Canada. 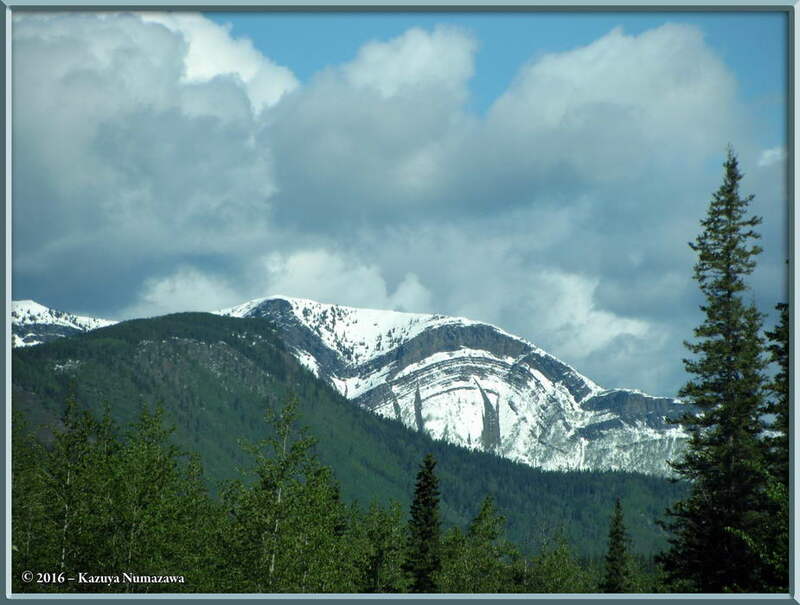 Second Photo - A Folded Mountain in B.C., Canada. 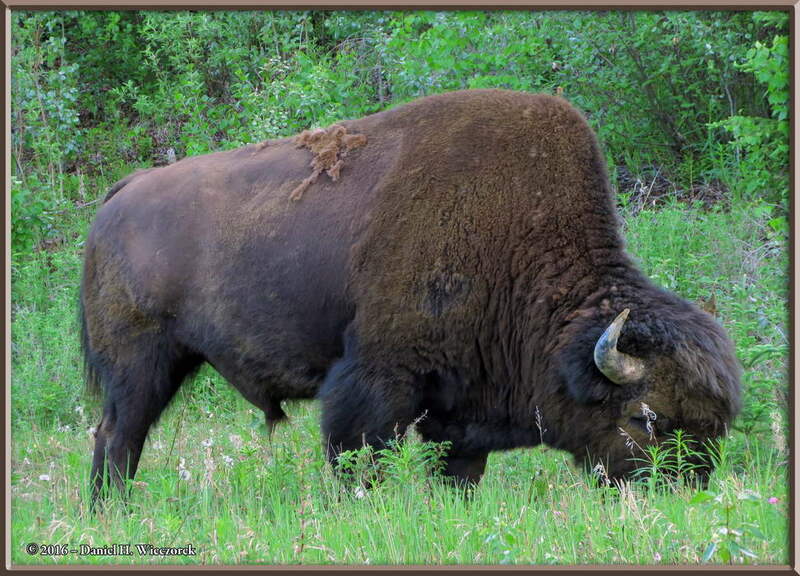 First Photo - A Bison (Buffalo) in Yukon Territory, Canada. 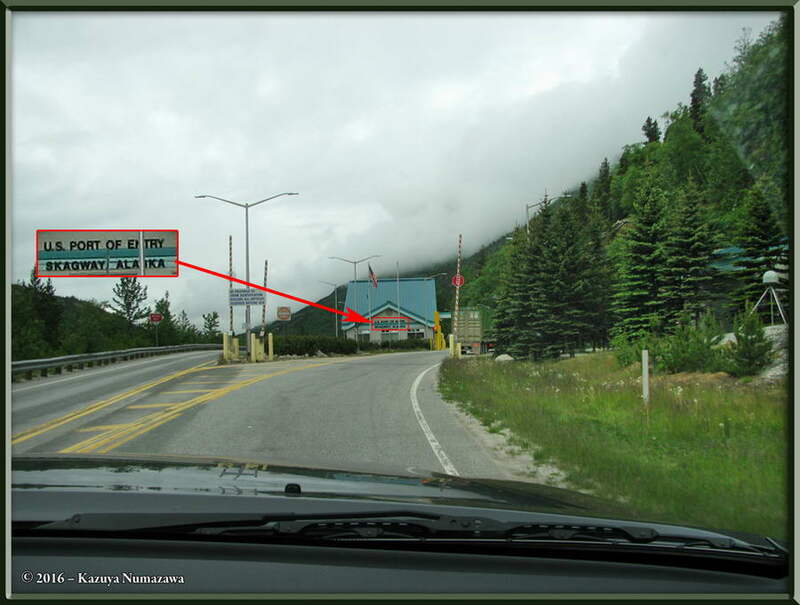 Second Photo - The US Border Station at Skagway, Alaska. Page 7 of Christmas Letter. 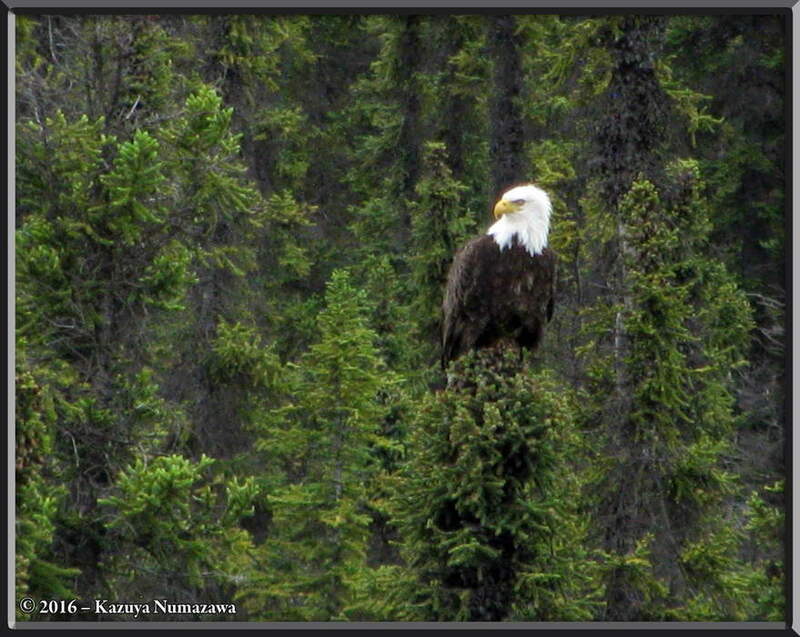 First Photo - A Bald Eagle in a Tree Beside the Highway in Alaska. 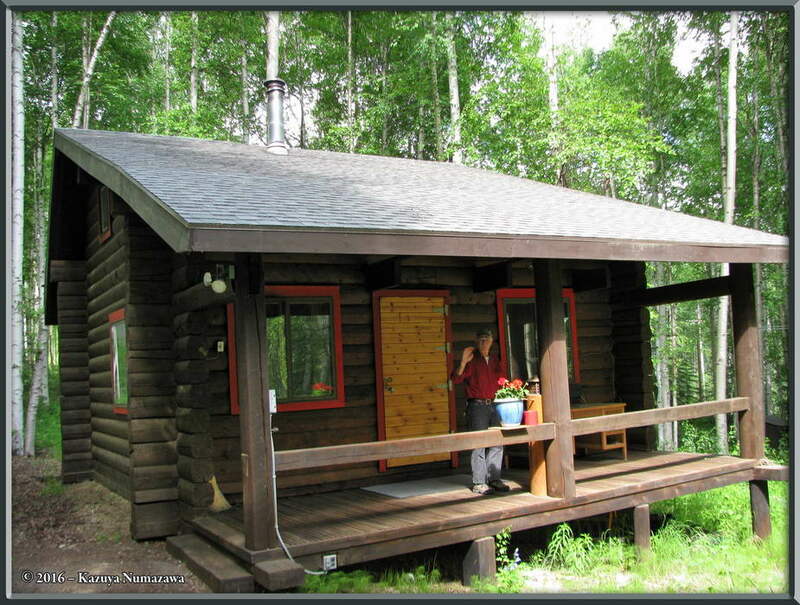 Second Photo - The Arrival at our Home - Daniel on the Porch. 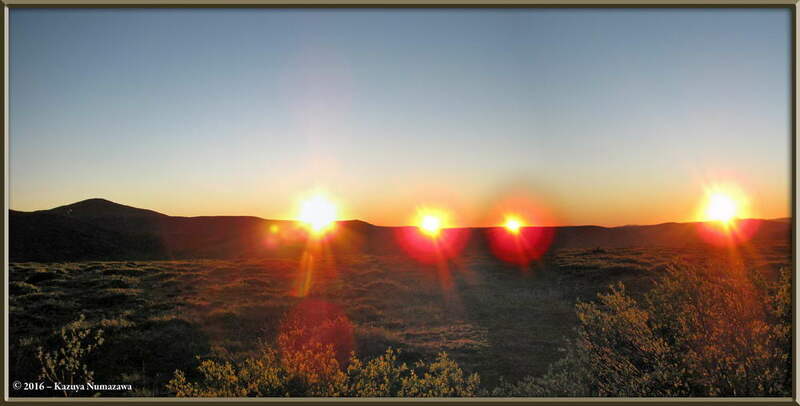 First Photo - The Sun Not Setting at Eagle Summit, Alaska. 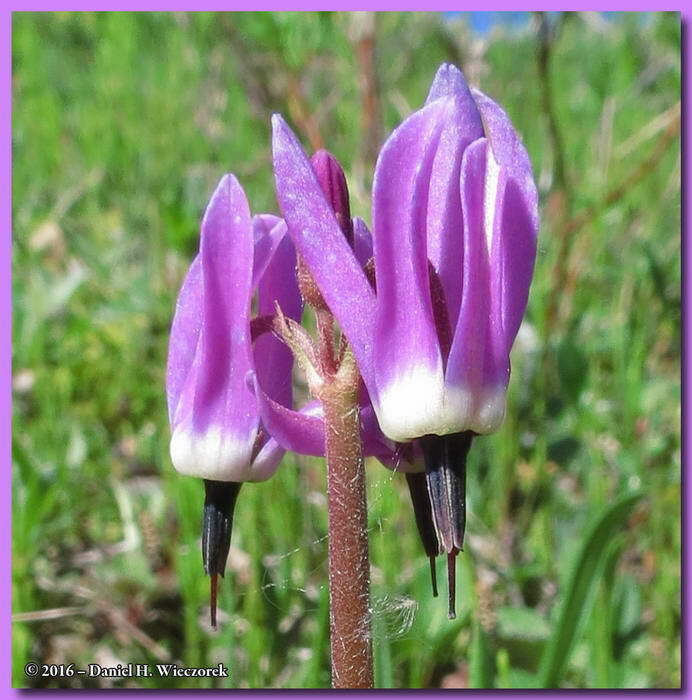 Second Photo - An Amazing Shooting Star (Dodecatheon frigidum) at Eagle Summit. "July Happenings" Photos from the Christmas Letter! First Photo - Climbing Table Top Mountain. 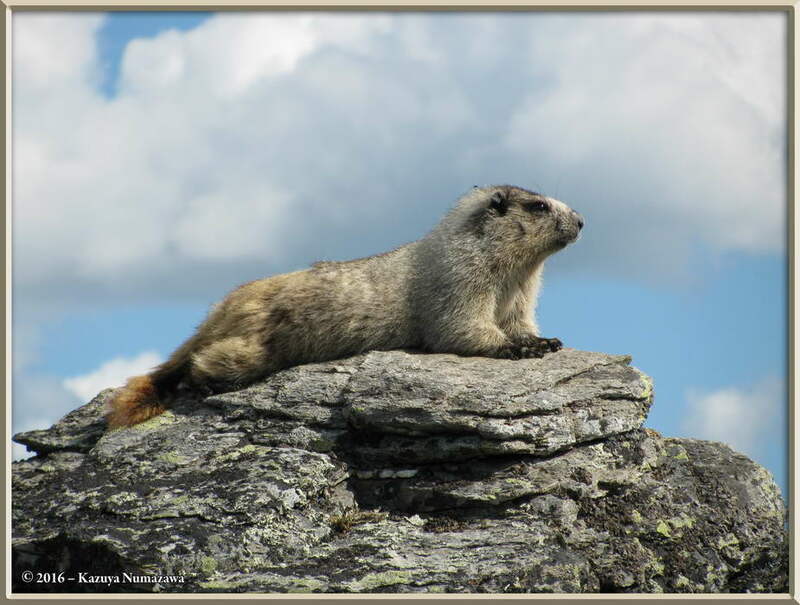 Second Photo - Climbing Wickersham Dome - a Marmot (Marmota caligata). 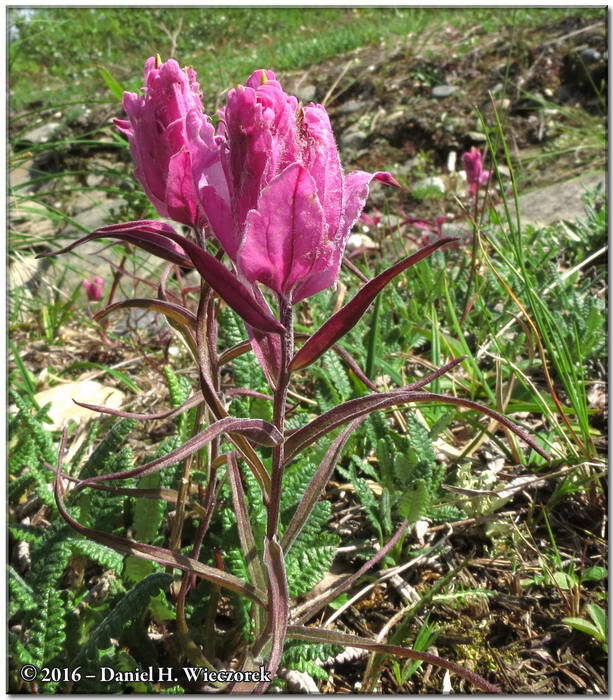 Third Photo - Summit of Wickersham Dome - an Elegant Indian Paintbrush (Castilleja elegans). 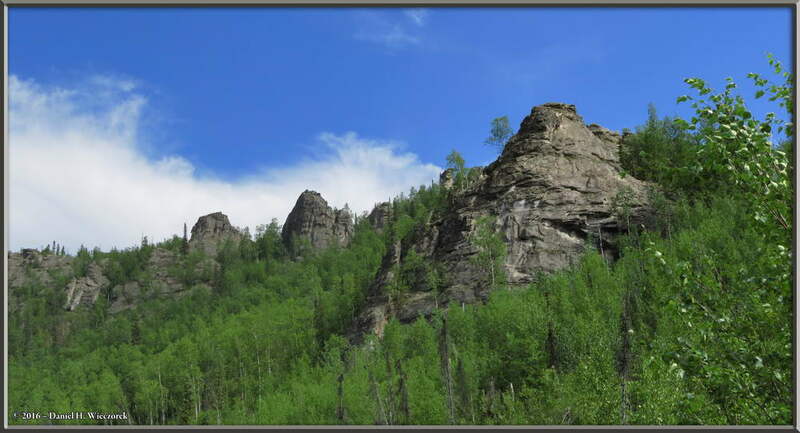 Angel Rocks - a 2-photo Panorama. 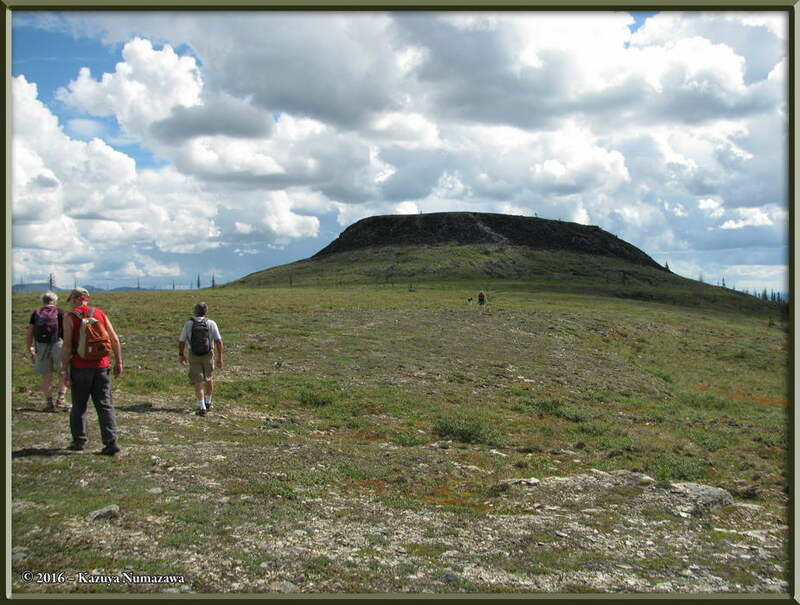 A Hike down the Trans-Alaska Oil Pipeline from our house. 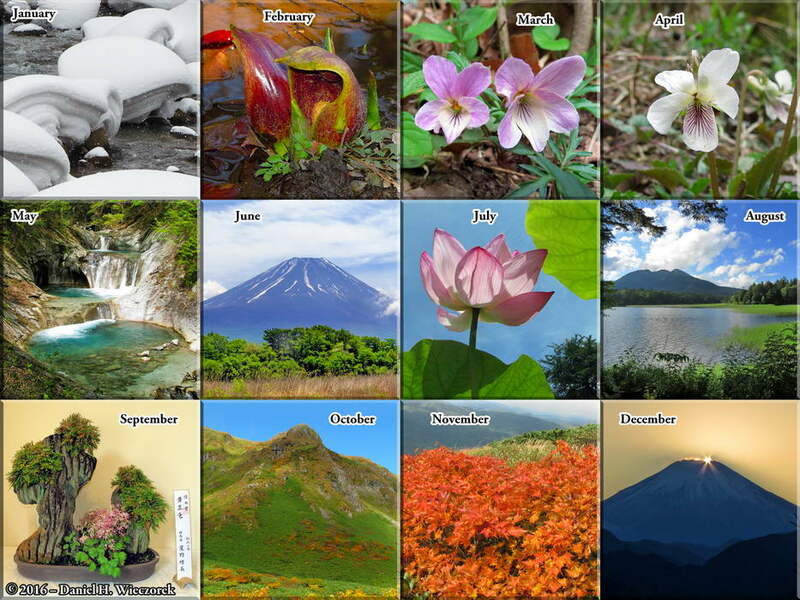 First Photo - 2017 Print Edition Calendar - The 12 Photos. 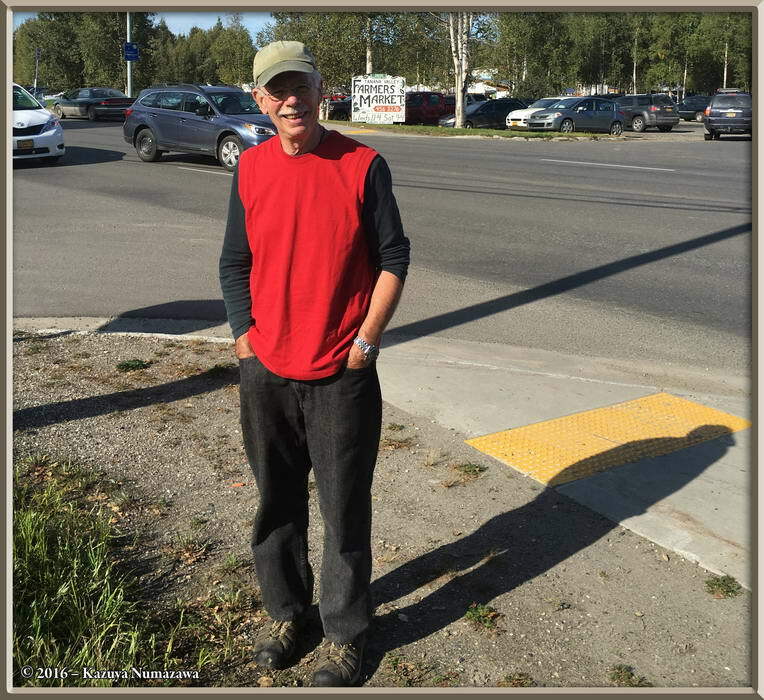 Second Photo - Daniel at the Fairbanks Farmers Market Bus Stop. 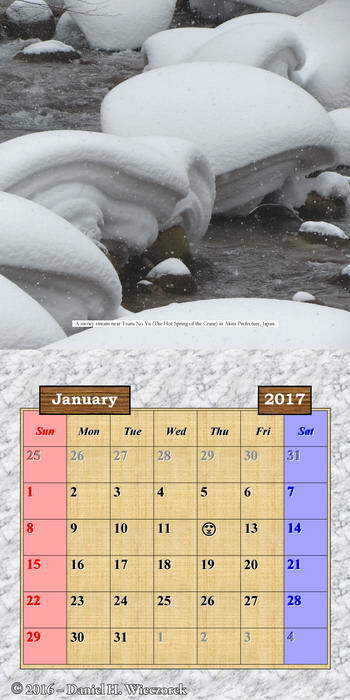 Third Photo - The January Page of the International Version of the 2017 Print Calendar. 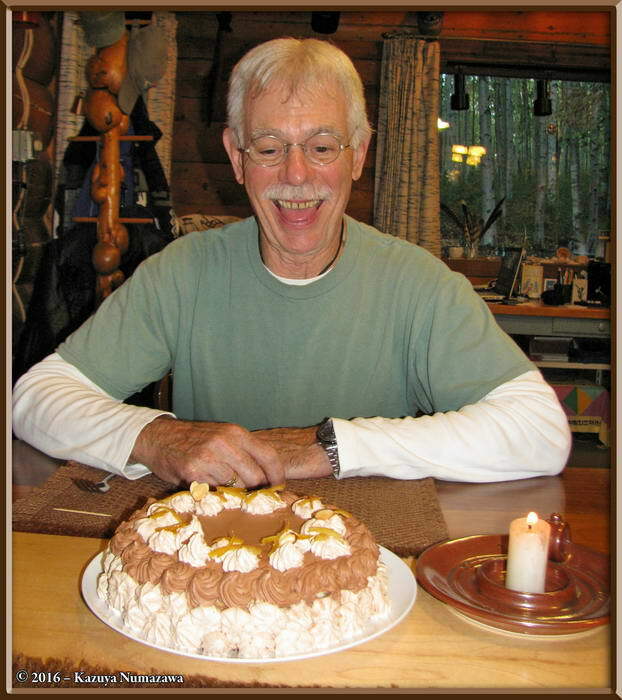 First Photo - Daniel & His Birthday Cake. 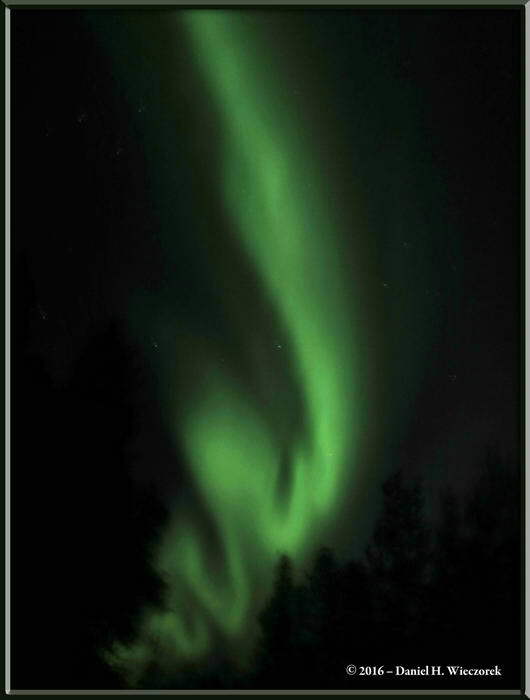 Second Photo - The Aurora Borealis From Near our House. 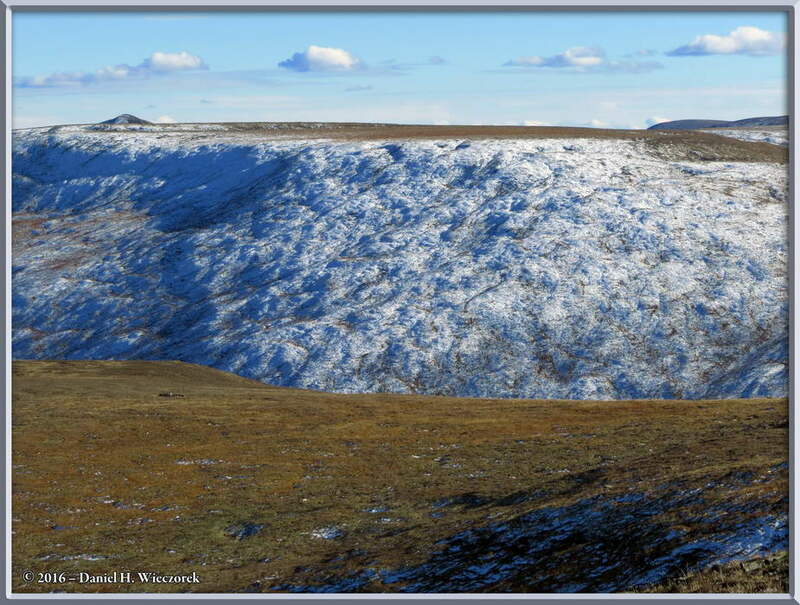 First Photo - Snow on the Mountains at Eagle Summit. 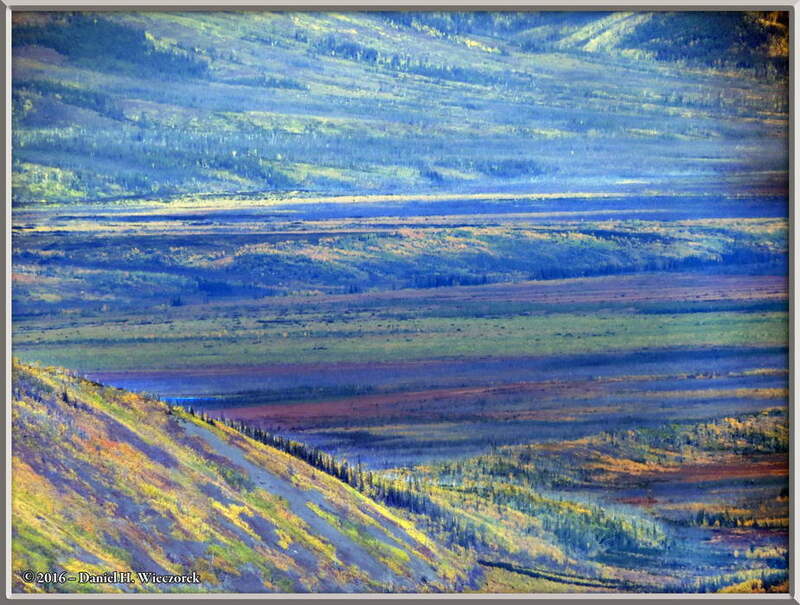 Second Photo - An Extreme Zoom from Eagle Summit to the Central, Alaska Area. 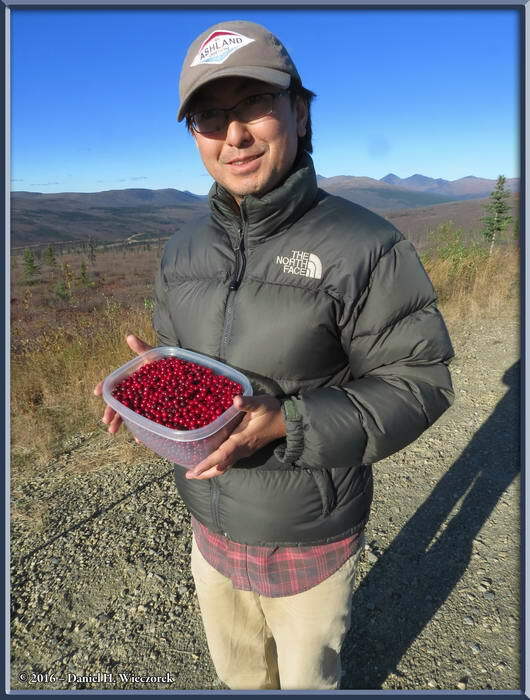 First Photo - U. S. Creek Road - Mile 4.5 - 1/2 Gallon of Lingonberries (Vaccinium vitis-idaea). 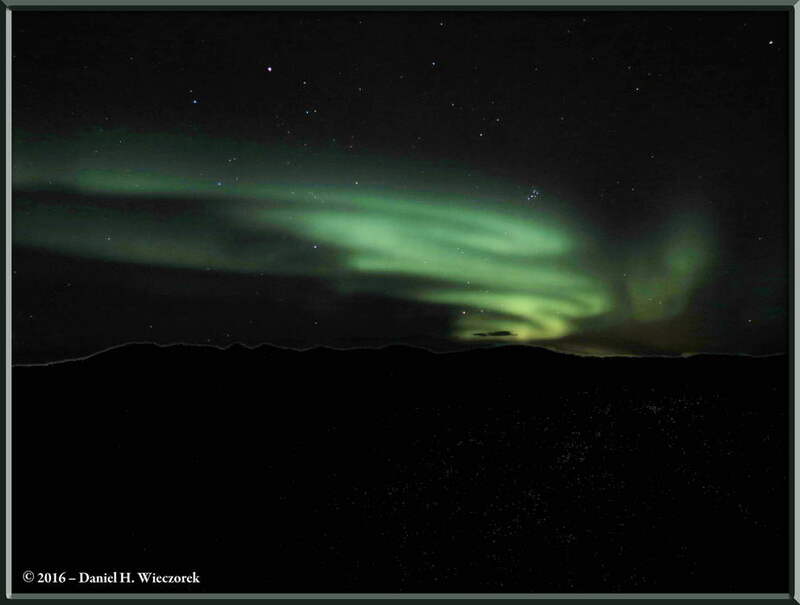 Second Photo - The Aurora Borealis From about Mile 4.5 of the U.S. Creek Road. 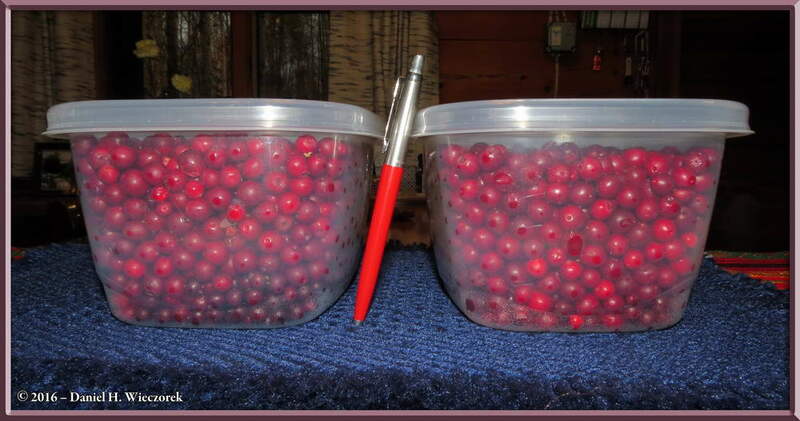 Third Photo - A Gallon of Lingonberries (Vaccinium vitis-idaea) from Angel Rocks. 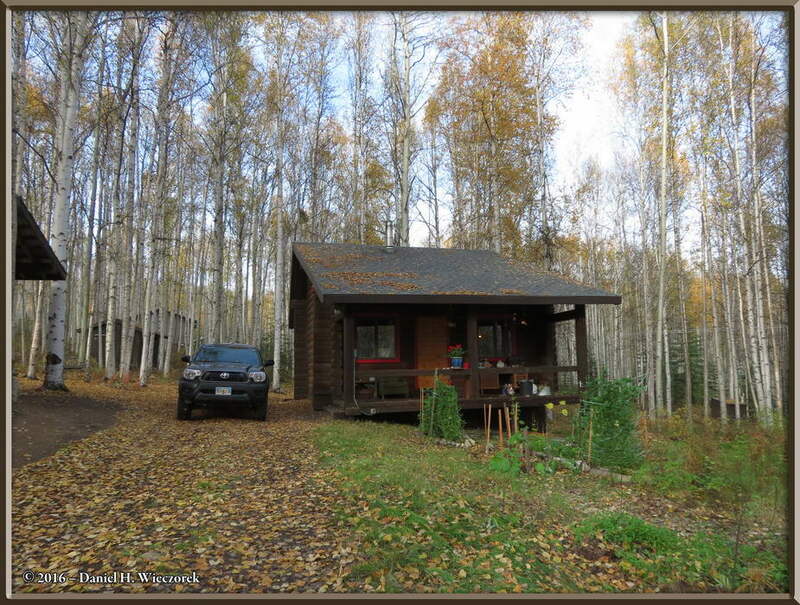 First Photo - Our House and Yard - Fall Rapidly Approaching. 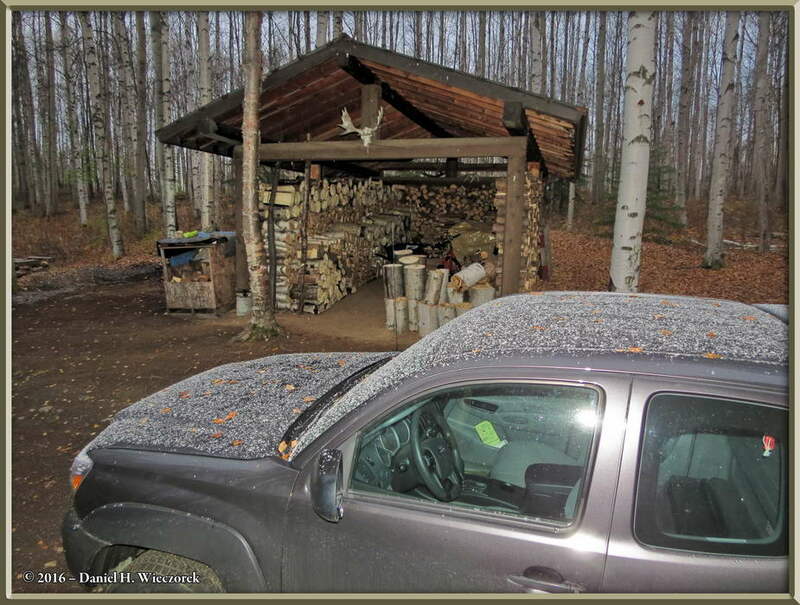 Second Photo - September 27th - The First Snow. 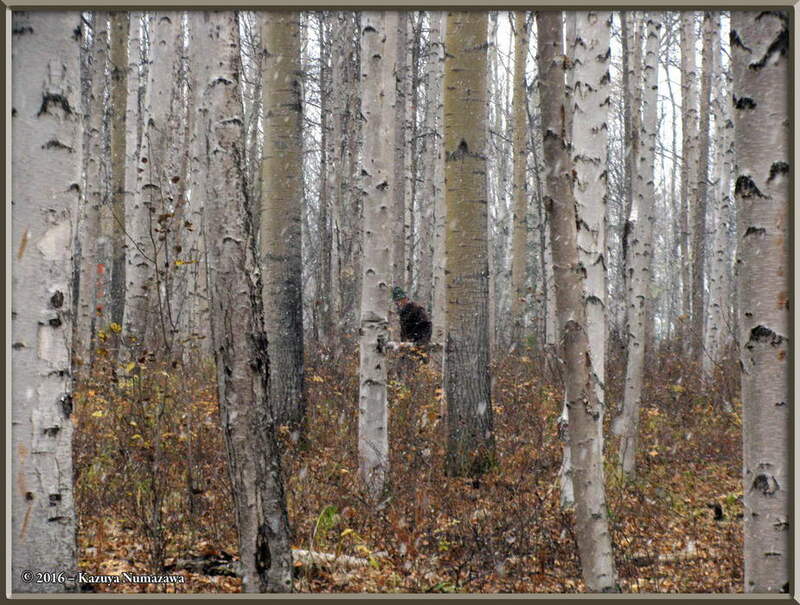 Third Photo - Daniel Working on our Property and Snow Falling.